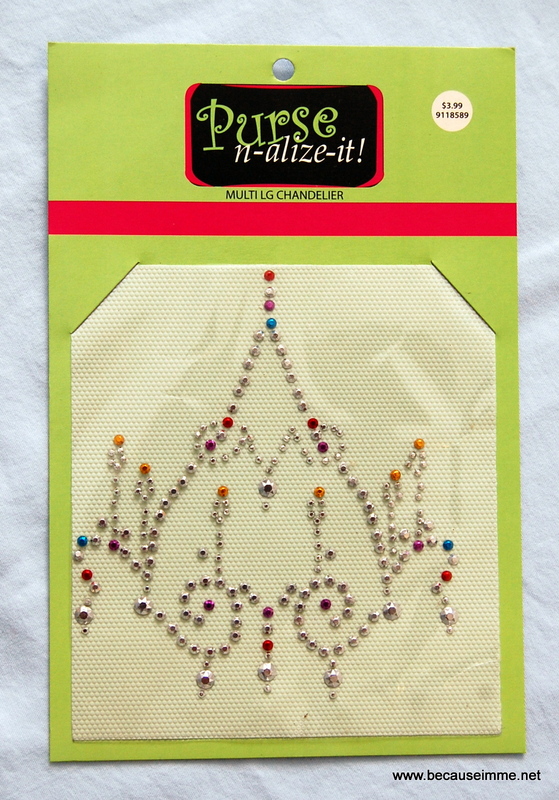 While playing elf I came across a package of Purse n-alize-it! adhesive rhinestones that I wanted to use on a handbag I was making. As you can see from the images below, the package contains no instructions whatsoever. 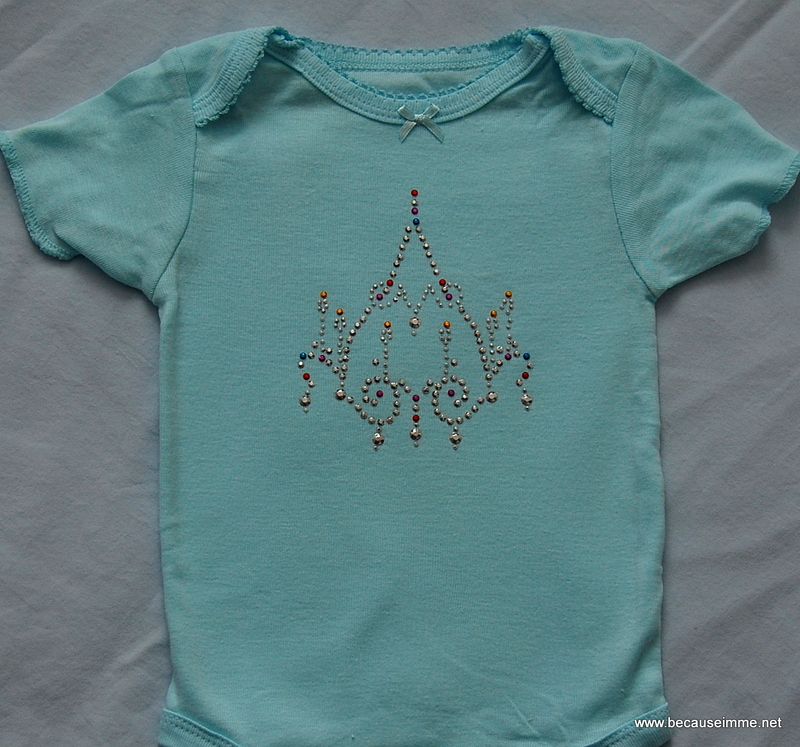 I googled and found no instructions, other than to use glue to adhere each individual rhinestone. 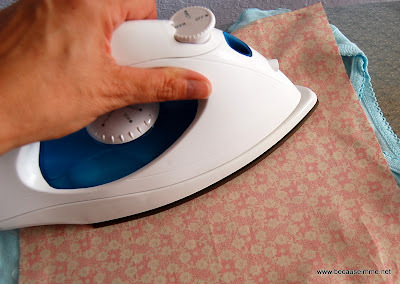 Deciding that couldn't be the best route to go I attempted ironing the rhinestones on, which was a success. I decided to post a little tutorial so that other crafters could find the instructions for this, and wouldn't opt to glue each and every little rhinestone (I wasn't doing that, while I love the beautiful diva I was making this for that just wasn't going to happen!). 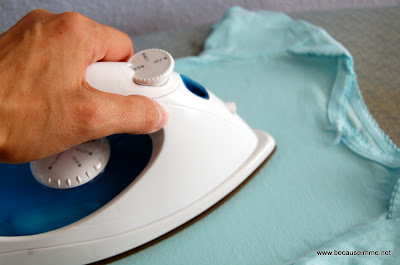 A few years ago, I made my daughter a shirt using one of these products and once they are on an item they stay on extremely well, which is very impressive given the washings kids clothes receive. I originally purchased the product at JoAnn's Fabrics, but I don't know that they still carry it. 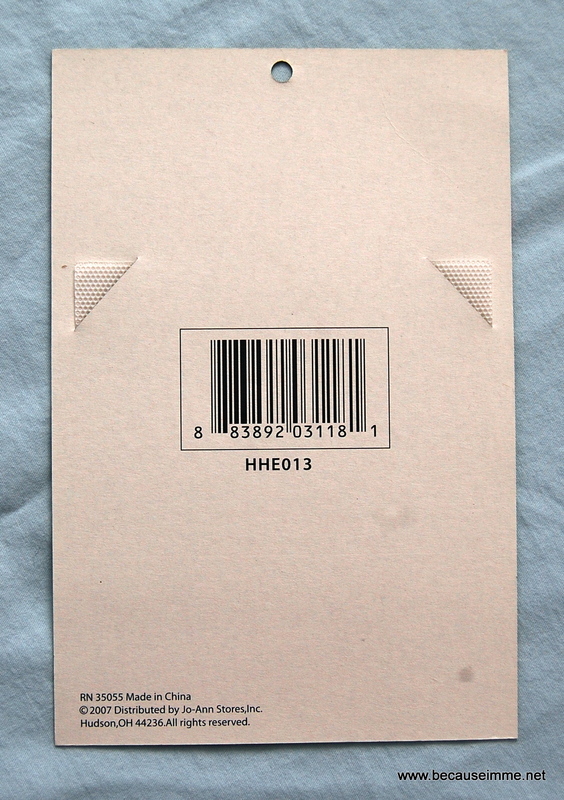 The date on the pack of the package is 2007, so it may be out of production. Nevertheless, instructions seem useful. Please excuse the quality of the images, the lighting wasn't optimal the day the photos were taken. 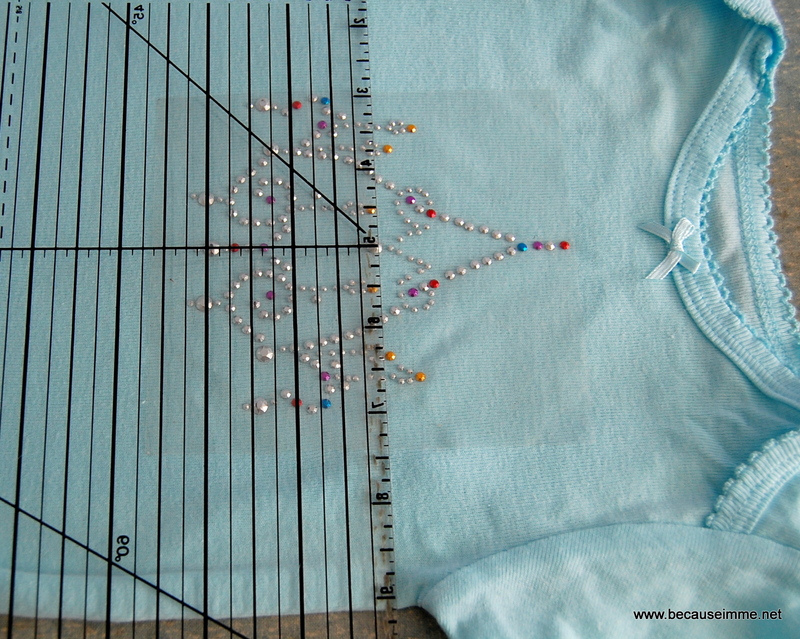 Step 1: Press item rhinestones will be adhered to remove wrinkles and create a smooth work surface. Lay out the item so the rhinestone sheet can be easily applied. Step 2: Remove clear plastic piece with rhinestones from package, discarding white plastic and paper pieces. 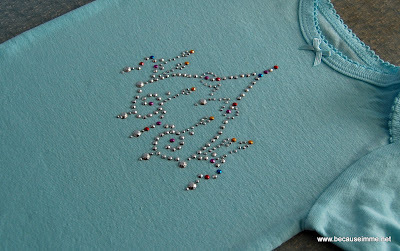 Center, rhinestone side down, on item to be embellished. Step 3: After item is placed where it is going to be permanently attached cover the plastic sheet with a piece of cotton fabric and press. 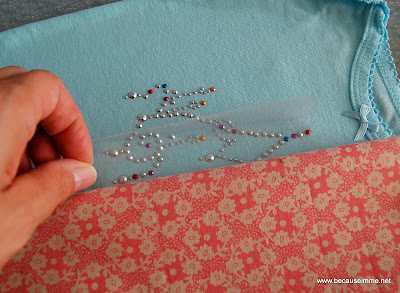 After a few seconds lift the fabric back and see if the plastic sheet peels up leaving the rhinestones behind. If the rhinestones pull up too press for a few more seconds, gently moving the iron to avoid overheating the plastic. 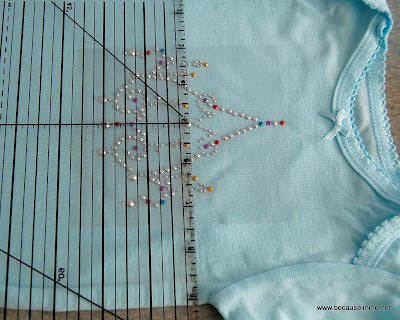 Continue pressing and checking until rhinestones are adhered. Step 4: Remove fabric piece and peel back plastic, again ensuring that all rhinestones adhere to the item being embellished. Step 5: Enjoy your new blinged-out one-of-a-kind masterpiece. Thanks for the tutorial. I have never used them before, but will know what to do when I give them a try.